Starting today: the New York International Auto Show. Not a car show that unveils too many relevant models for us here in Europe. 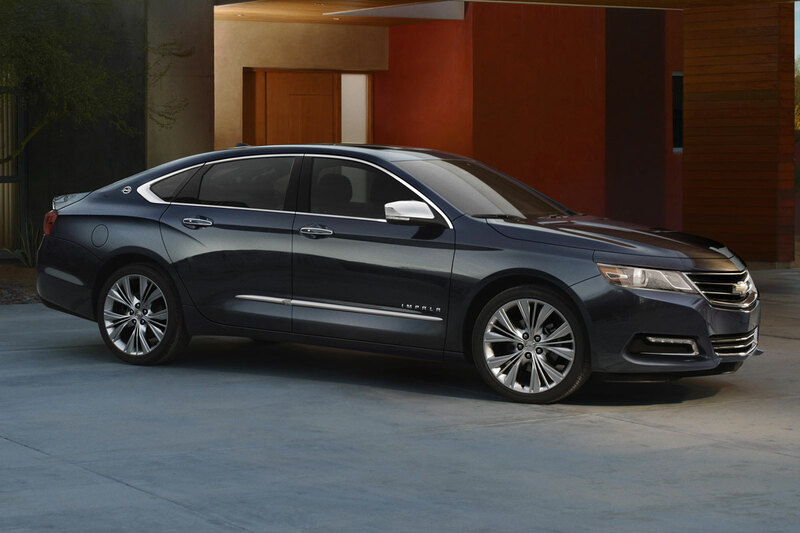 This one’s no exception, it’s the all-new 2014 Chevrolet Impala. But I still gasped when I saw it. Maybe I should say up front that I tend to be a fan of American cars, at least, the really shouty sporty ones or the really big and bearish ones. I care little for the plastic fantastic cars that are built to serve the normal American. 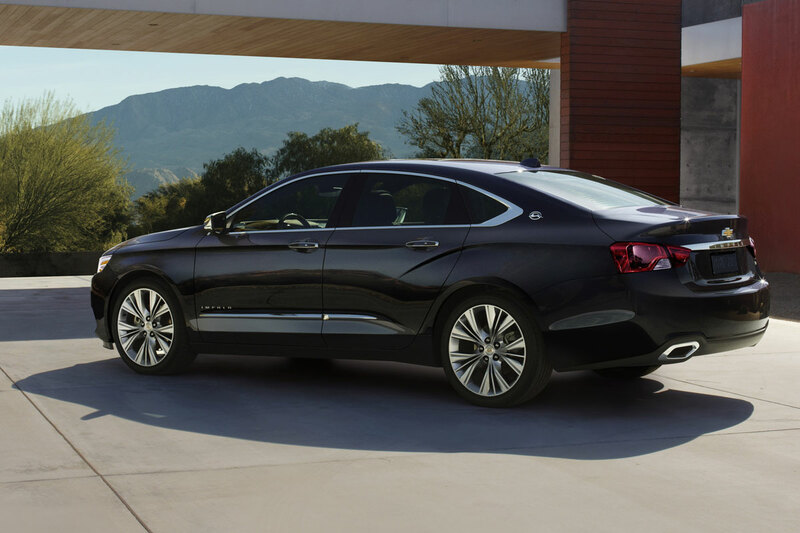 When you talk about big and bearish cars, the Chevy Impala has been at the forefront ever since its conception in the late 1950s. 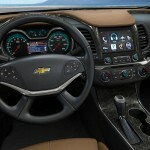 In the past decade, Chevrolet went through two generations – the eighth and ninth – of the model and both look as if meant to show the abominable state GM has been in. Well, generation no. 10’s outer appearance seems to suggest exactly the opposite: that Chevrolet is doing superbly again. It’s a big bad battleship of a car, but with some refined lines and a serious, almost angry, looking front. We can be sure about one thing: this car isn’t going to come to this side of the big pool. What did you expect with the smallest engine being a 2.4 litre I4 with 182 bhp. There’s a slightly more powerful 2.5 four-cylinder above that and the top motorization will be a 3.6 V6 whipping out 303 horses. There are more features that make this car a US-only model. Think lots of chrome and 18-inch rims coming standard. For those that like to go side-step into the big-pimpin’ image of the car there are 19 and 20-inchers available as well. Ironically the car is built on an adapted platform of the considerably smaller and more modest Vauxhall / Opel Insignia. 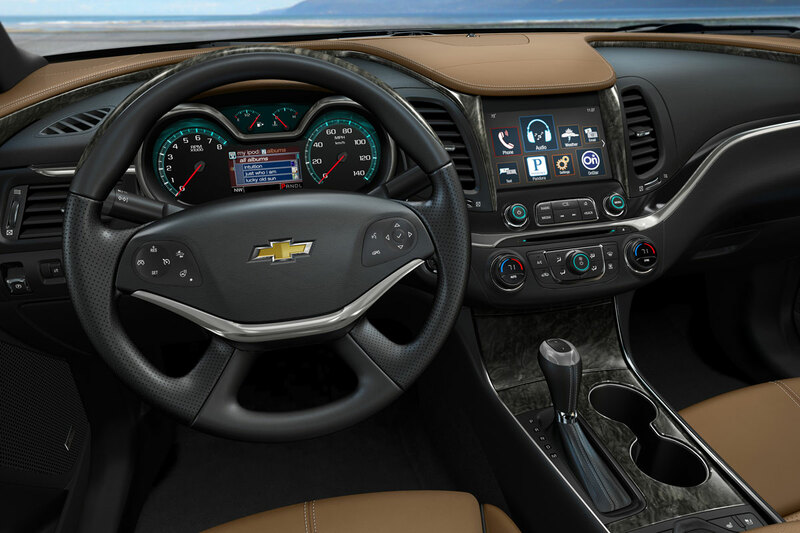 The car features all kinds of modern equipment, including adaptive cruise control, an infotainment system with an 8-inch touch screen, lane departure warning and a park assistance system. The interior is a bit crowded and incoherent if you ask me, but other than that this thing looks good. 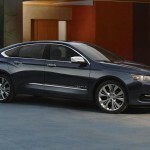 My guess is the new Impala will be considerably more competition to the Toyota Camry, the car that has been the best seller on the US market every year except 2001 since 1997. This entry was posted in News and Views and tagged American cars, car, chevrolet, Chevrolet Impala, Chevy Impala, Cruise Control, Europe, GM, horses, LS, MoT, New York, Sport, toyota, Toyota Camry, US, vauxhall, Vauxhall Opel Insignia by The Flying Dutchman. Bookmark the permalink.